Ben McGruder has been appointed Director of Inside Sales for Dorner Mfg. Corp. In his new position with Dorner, McGruder will lead Dornerâ€™s Inside Sales team and oversee all aspects of the companyâ€™s customer service initiatives with customers and Dornerâ€™s channel network. McGruder brings more than 14 years of sales experience to Dorner. 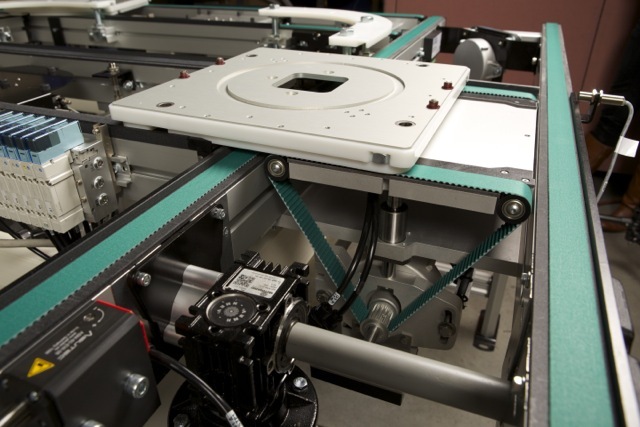 The 2200 Series Precision Move Pallet Systems are now available with new features including heavy load corners, tight turn corners, low-profile lift and locates, elevators and more. And now, designing a Precision Move Pallet system is easier than ever with its addition to D-Tools! 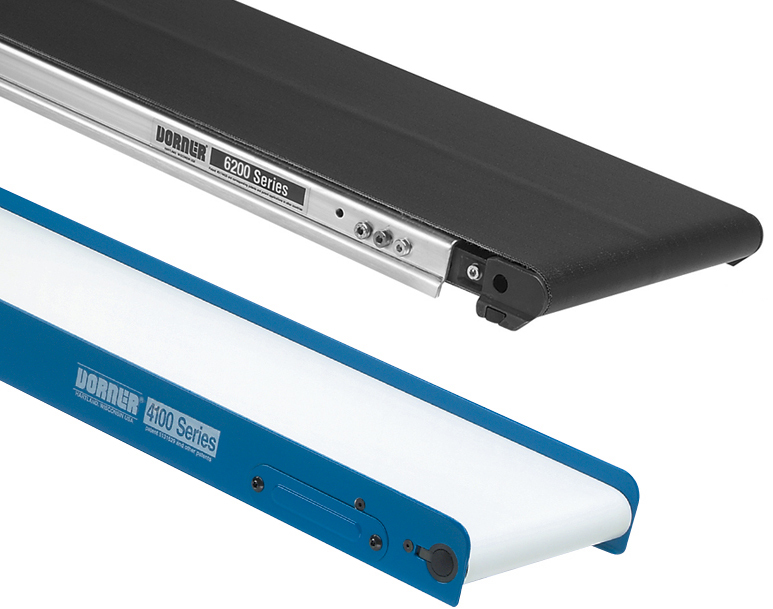 After many years of dependable service, we are saying thank you and farewell to Dornerâ€™s 4100 Series and 6200 Series Conveyors as they announce their retirement. 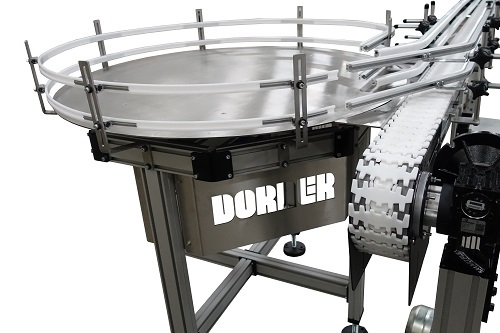 Throughout the yearâ€™s Dornerâ€™s product line has evolved from a single, low profile metalworking conveyor to a robust line of industrial, sanitary, and automation precision conveyance solutions. We are constantly evaluating our product portfolio and manufacturing processes to provide our customers with the best products possible. Dorner recently worked with a customer who needed to accumulate product before it was manually packaged. In the past, we have accumulated products on low friction conveyor belts and on recirculating conveyors. For this application, a custom rotating accumulation table was built to hold small runs of bottles which would then be unloaded by hand. PACK EXPO East is only a couple months away! 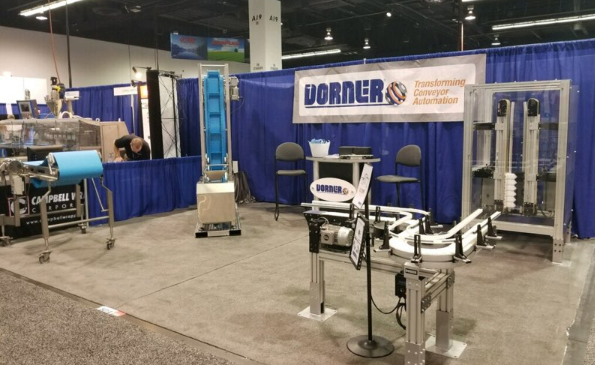 Come see Dorner in Philadelphia, PA. We will be exhibiting in Booth 924 from April 16-18, 2018. Need to register? You can now register for free with Dorner's Comp Code: 64F73E. Thank you to everyone who visited our booth at WestPack 2018 in Anaheim, CA. To see what other shows we will be exhibiting at this year, visit our Trade Show Page.